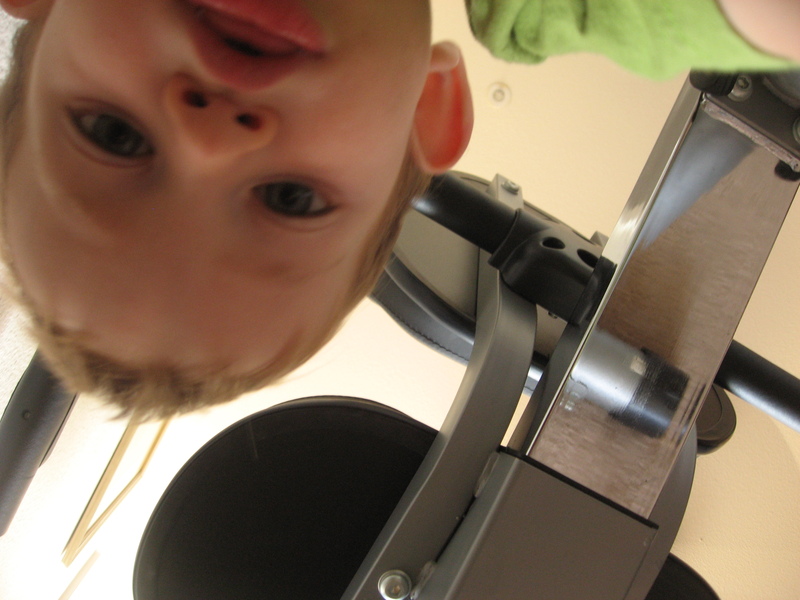 Today O got ahold of the camera and happily wandered around upstairs flashing pictures and giggling with delight. He took a total of 134 photos before abandoning the camera on the floor and going in search of more exciting things to do. 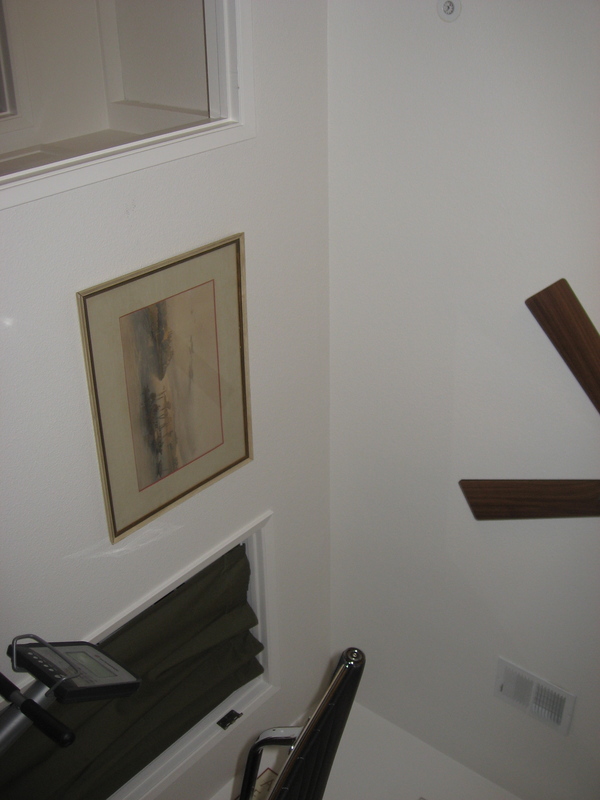 Here is a lovely composition of the office wall and a portion of the ceiling. You can also see a portion of the stationary bicycle and the back of my office chair. Toes and chair wheels are always a popular subject. 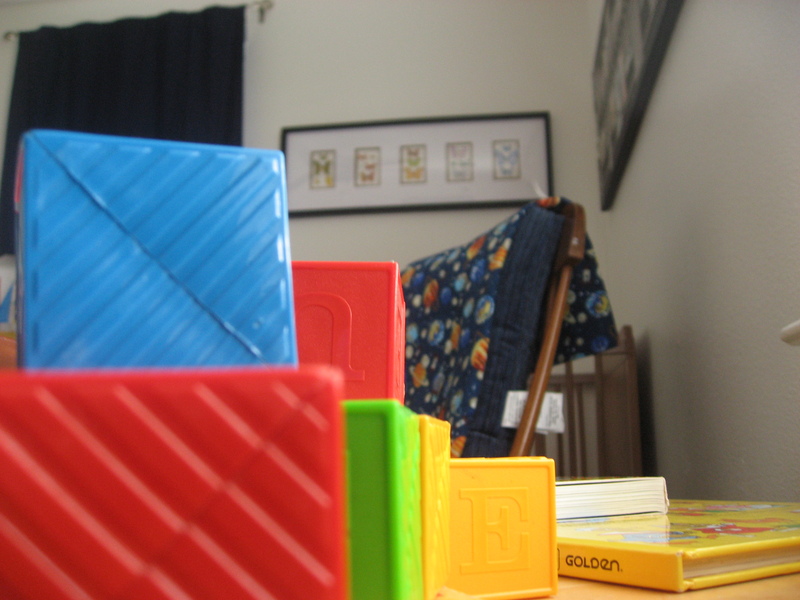 Blocks on the table in his room. And finally surprisingly in-focus self portrait. I’ll save the other 130 photos to share another day. Monterey Bay Aquarium Adventures on YouTube!